Hudson Property Services, LLC, located in Poughkeepsie, NY, provides end-to-end property management services for single family and multi family properties located in Dutchess and Ulster Counties. We are a technology-driven company that utilizes the latest industry-leading systems to provide the modern conveniences that savvy owners and tenants demand. Our goal is simple; to provide the best full service property management experience possible by using the best systems and technology in the industry. Tired of chasing tenants for rent? We'll collect all deposits, rents, fees and ancillary income on your behalf because you have better things to do with your time. HPS handles all advertising, tenant screening, lease preparation, security and rent collection to help you get your vacancy filled quickly! From the initial work order, to the follow-up maintenance survey, we handle it all! HPS provides a 24-hour maintenance phone line, state-of-the-art maintenance software, and full-service follow-up for all repairs; big and small. Are you stuck with a bad tenant? We'll see the eviction process through, from the 3-day notice, to the tenant lockout. We move quickly when tenants fall behind! Forget the spreadsheets- Hudson Property Services has you covered! We keep detailed accounts of your income and expenses and provide comprehensive monthly statements. Need an update on the financial status of your property? You’ll have 24 hour online access to your owner portal where you can view income and expense reports, resident information, download documents and more. We Believe in Honest Pricing. Here are Our Fees. No nickel-and-diming; just exceptional property management. Management fees are based on the gross property income and are collected monthly. Any items not covered under the scope of the management agreement will be billed at $35 per man hour, or actual cost for 3rd party vendors. Services that are not covered under the management fee include, but are not limited to: property maintenance and repairs, bank fees, attorney fees, and 3rd party process service. $500 property reserve required for 1-3 family dwellings (may be higher for larger buildings). When you trust Hudson Property Services with your most valuable assets, you can rest assured that important processes happen on time, every time. We have a consistent monthly schedule for all or our processes, and rely on precise checklists for each of our management tasks; from running monthly owner statements, to processing evictions, bank reconciliations, work order processing and more. We understand that one of the most critical elements of a well-run property is maintenance. A well maintained building has happier tenants, happier owners and less headaches. A critical part of good maintenance is having quality vendors who are knowledgeable, reliable, and take pride in their work; and those are the folks we partner with. Because of the volume of work we send, and our speedy turnaround time on invoices, our vendors make us a priority and move our jobs to the top of the list. When your property needs repair, you can rest assured that you will have the most qualified professionals in the industry responding quickly to maintain your home. Hudson Property Services, LLC employs true trust accounting practices to protect your rent money. Beyond just establishing a standard business checking account at a local bank, this very specific type of account is one that very few property managers are even aware of. Call us today to see what HPS does differently to provide this added layer of protection for you and your funds, and the risks of NOT having your funds in the proper type of trust accounts. Hudson Property Services, LLC is the only property management firm in the Hudson Valley that belongs to NARPM, the National Association of Residential Property Managers. NARPM members are an elite group of property management experts that adhere to higher ethical and educational standards than others. 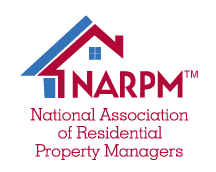 NARPM members are constantly striving to improve themselves, and the property management industry as a whole. You can trust that Hudson Property Services is up to date on the latest industry news, standards, and ever-changing regulations. Check out the advantage of working with a NARPM member firm here. No one likes to be the bad guy. But when tenants fail to meet their obligations under the lease agreement, swift action is a must. We understand that letting the small thing slide leads to bigger problems down the road. That's why we have strict policies in place, and we enforce those policies when necessary. That includes everything from late fees, to unauthorized pets, smoking in apartments, tampering with safety equipment and more. Our policies are strict and our expectations are high, but we've found that both our tenants and our owners appreciate when everyone is held to a high standard and all residents adhere to the policies that they agreed to when accepting the lease agreement. When it comes to technology, Hudson Property Services stands head and shoulders above the competition. Our cloud-based management software offers the modern conveniences that top-quality tenants demand; like mobile-friendly rental applications, online tenant portals, 24/7 access to rental data, ledgers, leases and more. Owners benefit from our quicker turnaround time on work orders, shorter vacancies, and access to important documents and information 24/7 without having to call the office. We believe that having the latest technology at your fingertips provides our clients with the best , most streamlined experience possible. Our screening process begins before an applicant even sets foot inside your property. All interested parties must provide income, subsidy and pet information before scheduling an appointment. After the showing, every prospect receives a text with a link to our mobile-friendly rental application. Our screening process includes: A full rental application, obtaining pay stubs, obtaining ID, full credit report with score, judgement search, criminal history search, county clerk search, phone verification of employment, phone verification of rental history, pet screening, service animal verification and more. We weigh the results against our minimum qualifying standard and a decision is made based on the facts. This rigorous screening process drastically reduces the likelihood of an unqualified candidate being approved and placed in your home. If you've ever dealt with bogus references, rental scams, delinquent rent payments, property damage or worse, then you know how imperative it is to have the most thorough upfront screening process available- a process that we've perfected at Hudson Property Services. 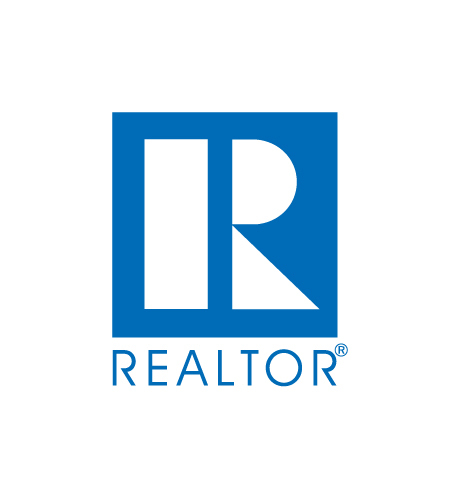 Licensed Real Estate Broker- Property Manager-Listing Specialist-REO Expert- Leasing Agent- 15 years experience in the real estate industry. Hudson Property Services, LLC is located in Poughkeepsie, NY. Our service areas for property management include all of Dutchess County, as well as parts of Ulster County. Hudson Property Services specializes in residential property management in the Mid-Hudson Valley. We have experience in managing a diverse set of properties ranging from single-family homes, to 20+ unit dwellings and mixed-use properties. Our property management agreement has a 12 month term, with an option to renew at expiration. Hudson Property Services is not a repair company, but we can assist with some maintenance duties like cleaning, small painting projects and light repairs. We typically dispatch our preferred vendors for work orders and repair issues. Yes. Hudson Property Services is licensed as a real estate brokerage in New York State. We are fully insured and carry general liability, professional liability and worker's comp insurance. Proof of insurance can be provided upon request. Simply fill out this short contact form and you are on your way! Looking for tenant placement only? We've got you covered. Click this link to check out our Rental Success Program.